The term glamping likely originated in England, however the tradition of luxury tent camping was most likely born in Africa where safari outfitters have long provided such accommodations. Today glamping is a combination of glamour and camping and describes a style of camping with amenities and, in some cases, resort-style services not usually associated with “traditional” camping. 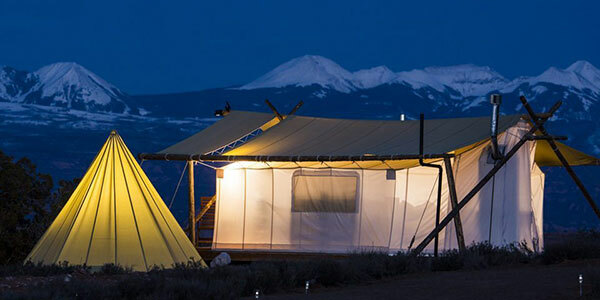 Glamping has become particularly popular with 21st-century tourists seeking the luxuries of hotel accommodation alongside the escapism and adventure recreation of camping. All of us know being outdoors and camping is the ultimate way to get back to nature. It makes for great storytelling around the camp fire, beautiful adventures in the majestic outdoors, and bonding with family and friends. Glamping has become the new way to get outside and enjoy the outdoors. This experience offers the thrill of a camping adventure in the wilderness, but without compromising on comfort. 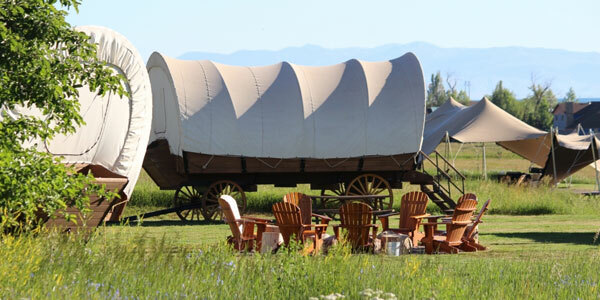 It usually involves a yurt, a restored vintage trailer, a Conestoga wagon, a tree house or even a luxury canvas tent. Here at www.bestglampingdestinations.com you will discover the adventure of a lifetime at one of many Glamping Destinations in North America. Let your adventure stay here!